I hate trilogies. I know, many of you will disagree with me and point me to epics like Tolkien’s Lord of the Rings. Well, Tolkien actually intended that to be a single book that publishers thought was too long for the audience of the time. So, they chopped it into three. 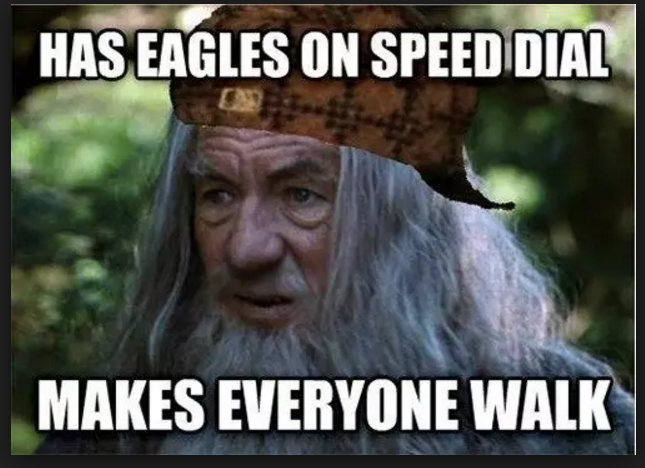 Which, explains a lot, especially for those of us that saw the movies before we read the books and were quite angry at the end of the first movie when Frodo still had the blasted ring. After how ever many hours. With no bathroom break. No, my hatred of trilogies goes back to my childhood. I’d read a book called The Dark Angel. Yeah, this story sticks in my head so much I remember the name even many decades later. Art didn’t look anything like this back in the 80s when I read it. I was so in love with this book, that I got my mom to take me to the library and snapped up the second book in the series, A Gathering of Gargoyles. What I didn’t know or understand at the time is what a trilogy was. But I was about to find out. After devouring the second book as well, and I was totally rooting for the heroine and the hero to finally get together. To get their happily-ever-after. Yeah, I was a romance reader from the beginning. I’d been raised on Disney, and I had certain expectations even though I read these long before the Little Mermaid made its debut. 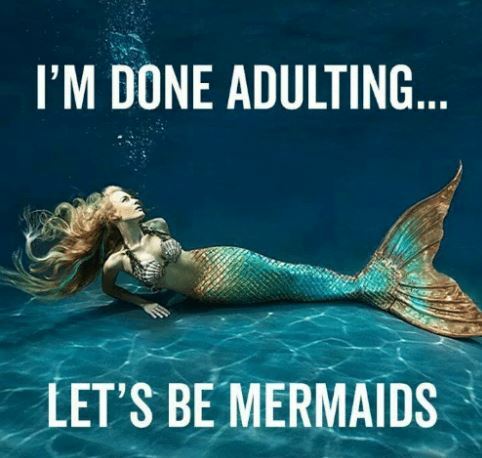 I had no idea why Ariel wanted to be human when I so desperately wanted to be a mermaid. So, I got to the end of the second book, and I wanted the third book. I begged my mom to take me to the library. After a bit of wrangling, she finally agreed. But the library didn’t have the third book. I lived in a small town with a small library. So I begged, whined and wheedled to get my parents to take me to the big library in the city that allowed me to borrow from them through a library exchange program. This was long before Amazon, and my family had to be frugal. No point buying what we could borrow. Finally, my parents agreed to take me to the big the library the next day. I wasn’t happy, but if we went early enough, I’d have the book and still be able to finish it before school on Monday. We got to the library when thy first opened the next day, but I couldn’t find the third book. I searched and searched. 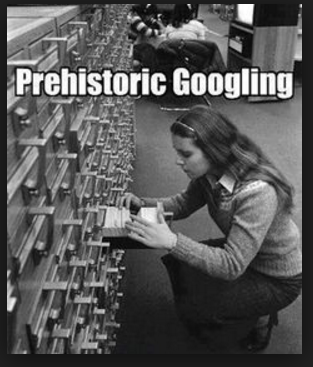 I couldn’t even find it in the card catalog. Yeah, I’m old. I not only know what one of these is, but I knew how to use them. Finally, I ask the librarian. She says if they don’t have the book, they could probably get it from the even bigger library system in the city of Milwaukee. It would only take a week or so. To my elementary school brain, that was forever. But I really wanted the book. So, she went to look it up and see if Milwaukee had it. She comes back, but she isn’t holding the library hold slip. My heart thumps. Then she asks if I’m sure the book exists. With the indignation of a elementary school child, I show her the three titles on the back of the current book. She checks again, and after some time (during which my parents and little sister are getting antsier and antsier), the librarian comes back to tell me the book hasn’t been published yet. There’s no release date on it, so it’s at least a year or two off. I was devastated. How could I leave these characters not know what happened to them? I loved them, I wanted them to get together and be happy. I cried on the way home, further angering my parents. While I didn’t get it then, as a parent now, I totally understand their frustration. They did something to make me happy, something that was a pain for them, and it backfired. I was the exact opposite of happy. 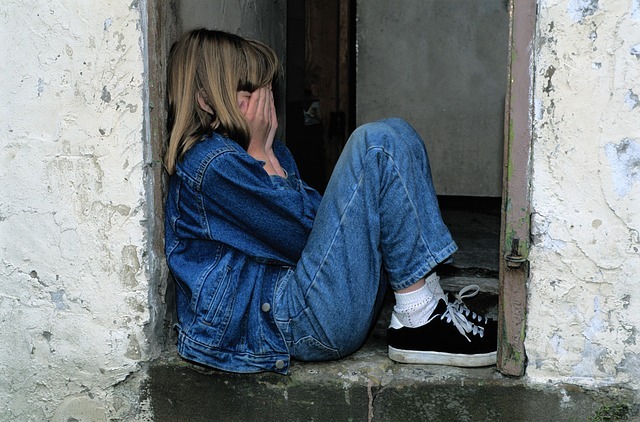 Eventually, my tears dried, and being the precocious child I was, I wrote the author. I told her I loved her books and was wondering when the next one in the trilogy would be out as I had to know what happened next. Kindly enough, she wrote me back and said she was still writing it. She also sent me an autographed hardcover(!) 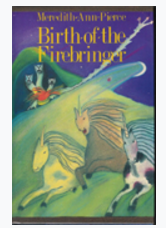 copy of another of her books, Birth of the Firebringer. It was the 80s. Don’t judge. We were very frugal, and hardcover books were not in the budget. I was beyond excited to actually have a hardcover book, all my own, signed by the author. But I only read it once. See, I’d already suffered the pain of not being able to complete a trilogy. So, the very first thing I did was check and see if there were more books in this series. There were. Not all of them were out. So, I put it in the cupboard above my bed. And there is sat for years. Every once in a while I’d check to see if all of the books in the series were out. See if it was time to read them. I continued to look for the third book in the Dark Angel series. Eventually, all of the Firebringer books were out. 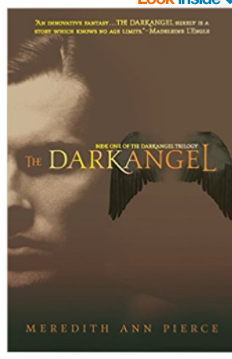 So was the Dark Angel book. But I was five years older. Five years for a kid is a really long time. I was now in junior high. Reading Terry Brooks, Shakespeare, and Victoria Holt. I’d outgrown these books. I did finally read the last Dark Angel book and hated it. This is a spoiler, but it came out almost three decades ago, so I’m going to let slip that the trilogy didn’t have a happy ending. Victoria Holt had already spoiled me. I expected more. I did read Firebringer, but I never bothered to even look for the other two books in the trilogy. I had already moved on. But these lessons stuck with me. To this day, I will not read a series until it’s complete. I want to know I’m going to get an ending. How about you? Do you love trilogies? Hate them? What was your first experience with one? The first trilogy I ever read was probably the Lord of the Rings. I read a lot of series, like the Oz books and the Three Investigators (so much better than those wimpy Hardy Boys) but there were no cliffhangers between books, and the Investigators books that were released in the 70s as I discovered the series were found treasure. The first trilogies In remember reading were the Margaret Weis and Tracy Hickman books; first their books for Dragonlance, and then Darksword, Rose of the Prophet, etc. Good stuff for guard duty and easy to find in the PX bookstores in Germany. I spent many a month waiting for the next one and even was nervous enough to ask my sister to send me the third book in Rose of the Prophet just to make sure. I tend to like trilogies, and the stuff I am working on right now might end up being one. See, I am not sure I put series in the same category. Each is a stand alone book. Yes, the characters come back and go on new adventures, but you’re never left hanging. I feel your pain. I’m impatiently waiting for the final book in Rothfuss’s The Kingkiller Chronicle. Book 2 came out in 2011. There’s still no publication date for Book 3. It’s definitely made me more hesitant to pick up the first book in an incomplete series. Yeah, I am not really a fan of this, as you can tell. I still won’t buy a trilogy until the whole series is out. I don’t like cliff hangers. If I’m going to invest my precious free-time into a writer’s book, I want an ending. Not thrilled them them stringing me along to sell three books.